It's summer when the garden is full of bugs, both helpful and not. I love these Letterbugs created from wood type by Bill Moran of the Hamilton Wood Type and Printing Museum in Two Rivers, WI. They are on exhibition at the Hatch Show Print’s Haley Gallery in Nashville, TN from September 6 to November 11, 2014. 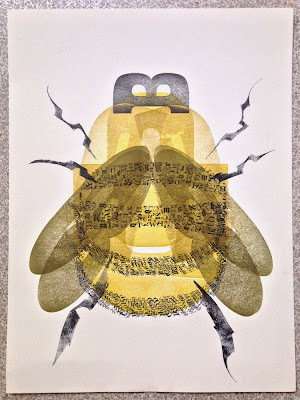 Each Letterbug ™ is hand-printed using type manufactured by Hamilton and is part of that museum's collection of over 1.5 million pieces of wood type; the fine details completing each print come from much smaller metal type, or hand-inking, by Bill, creating unique effects on every print. 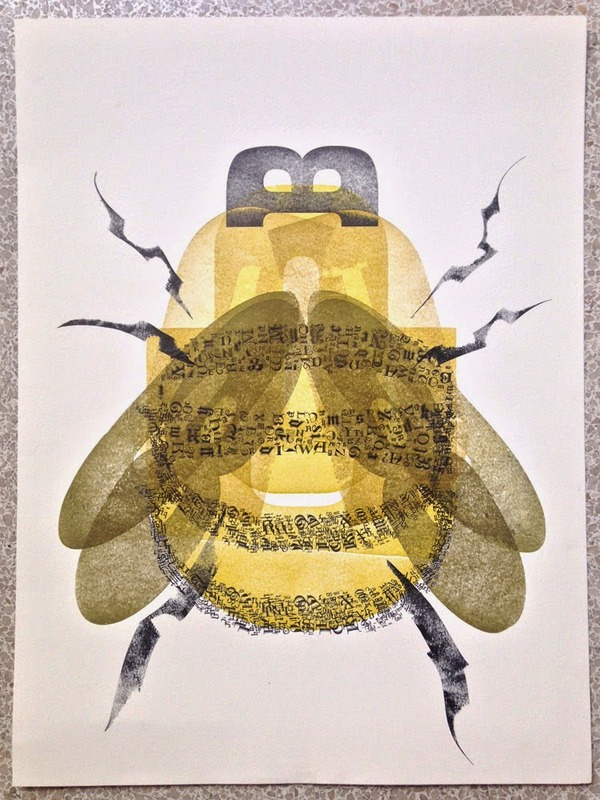 The prints are an homage to the unique strata that insects and type occupy in their respective kingdoms. Bill Moran is a third-generation letterpress printer, graphic designer and artistic director of the Hamilton Wood Type & Printing Museum in Two Rivers, Wisconsin. Hamilton Manufacturing, founded in 1880, was the premier maker of wood type and printing equipment until 1992. Moran's letterbugs have been exhibited throughout the U.S. and Europe and are included in the permanent collection of the Gutenberg Museum in Mainz, Germany, as well as Tipoteca Italiana in Cornuda, Italy.